Hey, remember this series? No. 5 was Deangelo Benton, No. 4 the safety contingent. As a playwright wrote once: attention must be paid. Must be. The first picture is of senior center Ryan Pugh. The second, senior left tackle Lee Ziemba. Between them, they have started 59 straight games. They have won All-Freshman honors, All-SEC honors, team-awarded honors, Watch List honors, All-Academic honors, honors of all kinds. They spearheaded a line that produced 5.0 yards a carry last season and 1,362 yards for its leading rusher. They each rank alongside any other single Auburn offensive player for responsibility in taking Auburn from 104th in total offense to 16th. But all of that is numbers, stats, things recorded on paper and in the occasional headline. What’s not there is Ziemba playing through pain on an injured knee in 2008, even as the season was revealed as a hopelessly lost cause. Or Pugh’s full commitment to–and even occasional success– playing as the SEC’s smallest right tackle at the end of that same miserable season. The way they both, despite their misgivings, lost a substantial amount of weight at the beginning of that year because a fraud asked them to, and then continued to play every snap without complaint, even as they twisted in the wind while the fraud and their position coach bickered. Or Ziemba’s decision to return for this season rather than heading off to the NFL. Or the way the introduction of Pugh–at left tackle, I kid you not–and Chaz Ramsey seemed to provide the spark that saved the 2007 season. Or how if Ziemba starts every game this season, he will have started more games at Auburn than any player who has ever pulled on our burnt orange and navy blue, with Pugh not far behind him. 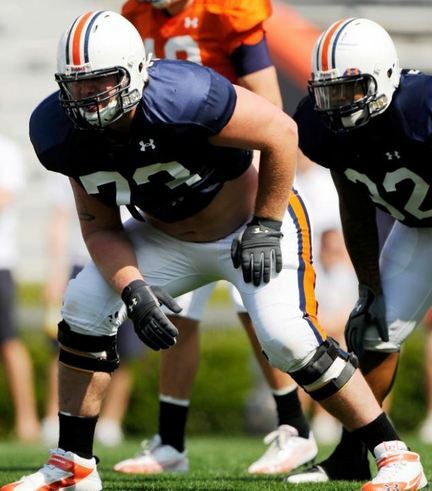 For the reasons in both of the preceding paragraphs, one more outstanding season would–almost without question, in my opinion–see both Pugh and Ziemba rank among the better offensive linemen to have ever played at Auburn, and among the best players of the Tigers’ 21st century at any position. They are–as much as any other Auburn player could claim to be– the linchpins that have held this program together through the abyss of ’08, the coaching transition, and the midseason swoon of ’09 … that have it on the cusp on becoming the Auburn we all want Auburn to be again. As their list of accolades suggests, that’s been enough for their teammates, opposing coaches, members of the press, etc. When it comes to the adulation college football fans, though, their reward has been somewhat muted. Some of that is simply the fact that they’re offensive linemen. But some of it isn’t. 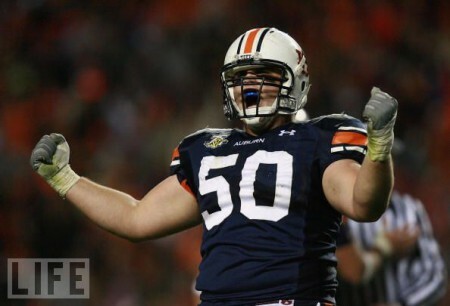 When it comes to Ziemba, Auburn fans’ supposed disdain for him has been greatly exaggerated whenever Ziemba himself has been asked to comment on it … but that doesn’t mean he’s ever exactly been a crowd favorite, or that his reputation for flag-drawing hasn’t vastly exceeded the reality. Which is why one of the things I want most for Auburn this season is for Ziemba and Pugh to play so damn well that none of those things matters, for Auburn fans or (within reason) anyone else. I want them to play so well even the seven-year-olds are talking about how it’s not just Fannin and Dyer and McCalebb that are making the run game go, that even the wives are wearing replica jerseys with 73 and 50 on them. I want them to play so well they leave Auburn with the kind of postseason honors that make you say “Wow” flipping through their resumes ten years from now. I want them to play so well they receive the attention they deserve. Make us pay it, guys. agreed. i’m anxiously anticipating number 1… i assume it’s Kodi or Mario, but there are great cases to be made for both of those guys. The O line will lead us to the promised land. Pugh, Ziemba, Berry, Isom with Greene in the mix will protect Cam, blast open holes for our backs and provide the constant pounding of punches to gassed and confused defenses all season. When we win the SEC, I might just have to put on an Auburn jersey for the first time in 30 years with the number 66 embossed with Big Snacks — easily the greatest nickname in forever. If we can have an injury free year like last, the line’s destined for great things. If we just get some more consistency out of the QB position, I think we have a shot. A shot at what, well, maybe the SECW, or maybe an at-large BCS bowl, or maybe the SEC and NC game (yikes). Should definitely see some improvement over last year, just a question of how much. Got to wonder, though – do we see a lot of second string linemen playing this season, particularly in the easier games, since we’re losing practically all these guys after this year? Next year could be rough. As to the allegations of being a “thug”..
QBs can afford to be gentlemen and scholars..
Great read on two of the best to ever play on the AU O line!!! Ziemba loses points for rolling up the bottom of his jersey and exposing his stomach in that second picture.